Studies show that small doses of Coconut Oil Can Boost Your Brain . 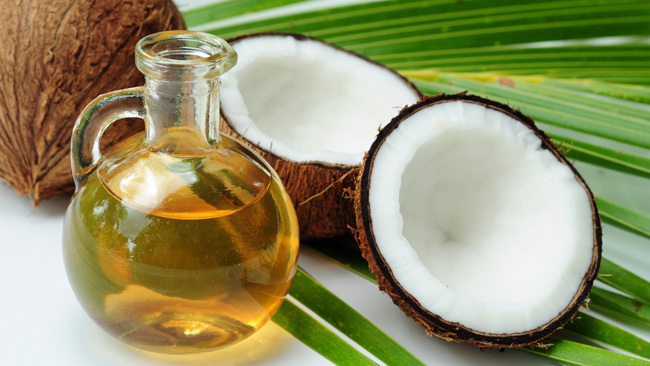 Medium Chain Triglycerides (MCTs) are the primary type of fat found in coconut oil. MCT’s have been found to boost cognitive performance in older adults suffering from memory disorders like Alzheimer’s. What’s most astonishing about this fact is that brain function is boosted immediately after one dose of 40 ml. A study published in the Journal Neurobiology of Aging discovered that the administration MCT’s, the primary type of fat found within coconut oil, almost immediately improved cognitive function(1)(2). 20 people with Alzheimer’s disease or mild cognitive impairment were given either MCTs or a placebo. A significant increase in blood plasma levels of the ketone body beta-hydroxylutyrate (beta-OHB) after only 90 minutes of treatment was observed by researchers. OHB levels continued to rise or held constant between the 90 and 120 minute blood draws in the treatment condition. Cognitive testing revealed that MCT treatment facilitated improved performance for Alzheimer’s patients in 4 subjects within the study group. Keep in mind that testing was done separately and not all of the patients had Alzheimer’s. For cognitive function to improve in 4 of the Alzheimer’s patients represents a significantly high percentage. Ketone bodies provide a much needed alternative fuel for the brain that can recharge metabolic processes within the brain, resulting in almost immediate improvement in cognitive function. Ketone bodies are increased from MCT administration (1)(2). MCT’s are also much easier to absorb than a majority of the dietary fats we consume. Coconut oil is a great source for triglycerides, it contains approximately 2/3rds MCTs by volume. It seems that nature provides everything we need to cure and/or treat any type of ailment. Our medical industry over emphasizes the use of medication, vaccines and more without ever considering the effectiveness of alternative, natural healthy treatments that have been proven effective time and time again. We are left with sometimes useful treatments that come are often associated with harmful side effects. It’s always a good idea to include food under the “medication” headline, and always a good idea to try it out given the fact that there will be no side effects.